Yesterday, Dropbox app for iOS received a killer new feature i.e. support for iOS 8 share sheet extension, which allows for quick saving of files directly into Dropbox. 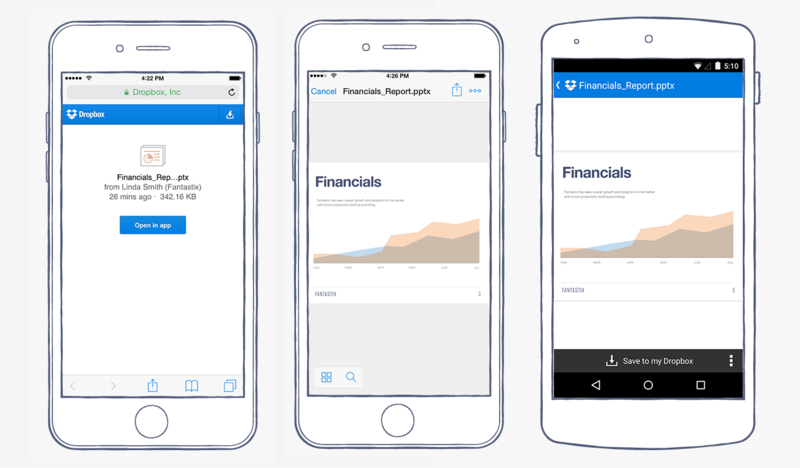 Today, the company has announced another minor update, allowing users to click on Dropbox shared links on their iOS devices and open the file or folder directly within the Dropbox app. The new feature brings rich previews for documents and photos and a quicker way to save the shared file or folder to your own Dropbox account. “If the file was already saved to your Dropbox, we’ll take you right to it in the app so you can do more with it — like move the file, rename it, or favorite it for offline access. And if it’s a Microsoft Office file like an Excel spreadsheet or Word document, you can edit the file right from the Office apps on your device”. So if you’re on an iOS device, clicking on a shared Dropbox link will give you the option to “Open in app”. The update will be rolling out to all iOS users over the next few days.